Fares are also available from Birmingham, Manchester, Newcastle and Glasgow Airports, for travel up to 30th November 2013. Bookings must be made by 8th July, with a 3 day minimum stay requirement. 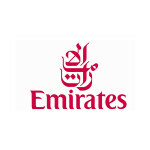 For full details and to book, visit the Companion Fares page at emirates.com/uk. Emirates Airline has relaunched its Business Class sale fares, and combined them with a refreshed ‘companion’ offer which brings savings to each additional passenger travelling on the same booking. Flights must be booked a minimum of 14 days prior to travel commencing, and no later than 16th May 2013. Outbound travel is by 28th February 2014 and there are three blackout periods: 14th June to 13th July 2013; 9th August to 15th September 2013 and between 12th December 2013 and 12th January 2014. For full details and to book, visit emirates.com/uk. And, once again, Emirates is also running promotions from elsewhere in Europe that may interest even UK-based travellers. This time, Germany leads the way, with fares to selected destinations matched roughly Euro:Pound – and therefore up to 15% cheaper than UK prices. For full details and to book, visit emirates.com/de/english and use code DECMP13. Bookings must be made by 28th February, with a 72hr minimum advance purchase requirement. For full details and to book, visit the Companion Fares page at emirates.com/uk. However: Emirates Airline has also issued a promotional code which offers substantial discounts on selected First Class companion fares departing from Spain. To qualify, two passengers must travel together by 30th June 2013, and bookings must be made by 28th February. Emirates fly from both Barcelona and Madrid, employing Boeing 777-300ER aircraft on the routes to Dubai and featuring their First Class seat product. Passengers travelling onward from Dubai can select services operated by A380 and B777 aircraft fitted with Emirates First Class Suite. Commencing the longhaul journey from Spain clearly adds an extra flight into most travellers’ itineraries, however the opportunity to enjoy First Class service at these fares may still interest other European passengers – particularly those who are members of Emirates Skywards loyalty programme who will earn increased miles in First. Both Barcelona and Madrid are linked directly to many European cities, including some which don’t currently enjoy Emirates service. For passengers originating in those cities, a connecting flight would be required anyway. For full details and to book, visit emirates.com/es/english/ and use promo code ESCMP13.